In the past 17 years, there is only one Final Fantasy game I’ve wanted to revisit. 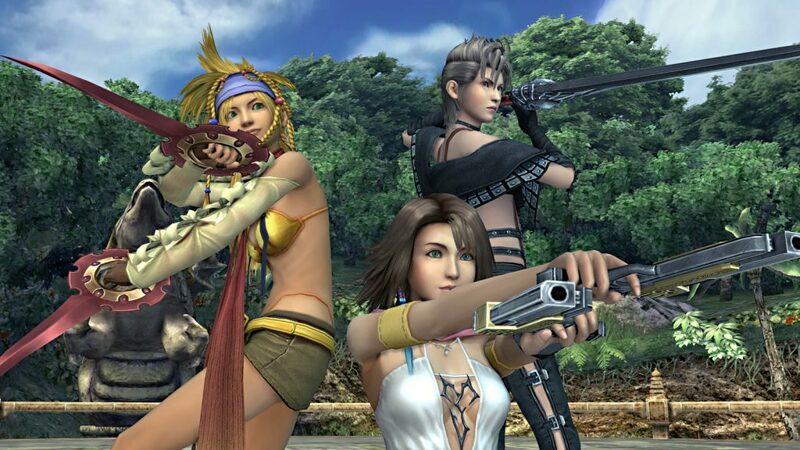 Final Fantasy X, which released in 2001 on the PlayStation 2, has received a number of remakes and ports, several including the later sequel, with the latest being Switch and Xbox One. Given this is the fifth or so iteration, does it have the charm to entice those on new platforms or should they have given it a rest? The HD remaster for both Xbox One and Switch version of Final Fantasy X/X-2 are the same ones Square Enix released on the PlayStation 4, except with a few touch screen feature options for the Switch version. All of its content such as Final Fantasy X, Final Fantasy X: Eternal Calm, Final Fantasy X-2, and Final Fantasy X2: Last Mission are the four game additions Switch owners should look forward to. For Switch owners who have never played Final Fantasy X or Final Fantasy X-2 before, I must say that this game is indeed worth it, especially if you are a big Final Fantasy fan, as it has one of the best storylines with a blend of drama, action, and romance and simplified yet satisfying turn-based gameplay with a plethora of sidequests to do. Having played the game for about a third time on the Nintendo Switch, I must say that the game is still charming as ever and makes me want to finish and relive the love story of both Yuna and Tidus. 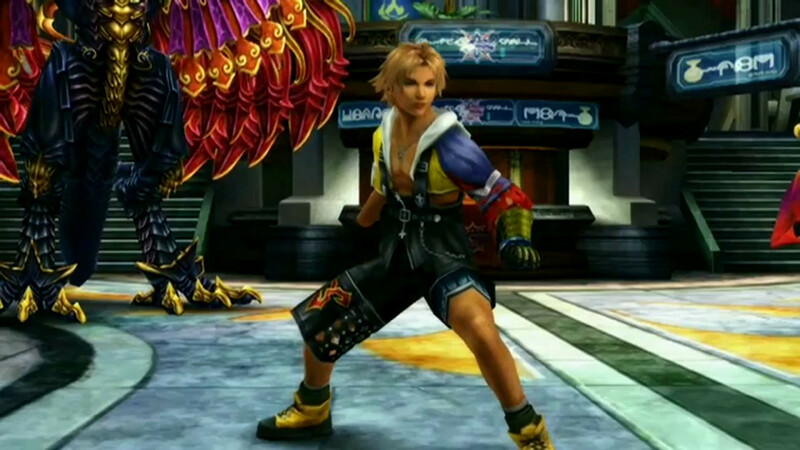 Newcomers will be following the story of Tidus, a famous Blitzball star that somehow finds himself in Spira after the destruction of his home city of Zanarkand by Sin one thousand years in the past. Having told by many of the comrades that he met that Sin is the key of him returning home, Tidus is joined by a young summoner Yuna on her pilgrimage to discover the mystery about Sin and destroy him to bring the long awaited Calm the people of Spira have been longing to have. This pretty much sums up the story of Final Fantasy X, while Final Fantasy X-2 takes place immediately after the Calm. Finishing both Final Fantasy X and X-2 can take about more than one hundred hours and I think the best way to play it is to experience it anywhere you are. That is where the Switch comes in. Thanks to its portability, playing through both games is now possible to do whether you are in the bathroom doing your thing or you are in a bus station waiting for your bus ride. Pretty much, this is one of the things I really like about the Switch’s portability and playing Final Fantasy X and Final Fantasy X-2 has never been this convenient before. Performance wise, the Switch version of both games play wonderfully in handheld mode. The visuals that are locked in 720p looks clean and smooth to play. I have not encountered any lag or frame rate drops which is a good thing. One of the things I noticed is that textures on handheld mode are degraded compared to the docked mode. As far as how long it takes for the battery to be drained for playing this game, it took me about 3-4 hours of gameplay before I was forced to charge the console. As for the docked mode, the game runs at 1080p smoothly as well. Of course in 1080p, the game looks much clearer and the performance is smooth and on par with the PS4 version. There are really no slowdowns or frame rate drops, but seeing as how this game is over a decade old, it’s just right that the game would play very smoothly on the Switch regardless if you are playing in both handheld or docked modes. 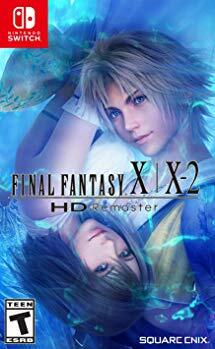 Just like in previous iterations of this HD remaster, the game comes with both Final Fantasy X and Final Fantasy X-2. It also has the extra content, which is like the Epilogue of both games; Final Fantasy X: Eternal Calm and Final Fantasy X-2: The Last Mission, which is a rogue like mini-game based on the original game. These two are like scenes that tells what happens after the events of each game. Think of it as an epilogue that puts an end to the story of both Tidus and Yuna. If you haven’t played Final Fantasy X by now, it’s the perfect time, especially if you own the Switch. If you haven’t played it by now, Switch is the perfect platform to try, given the portability and smooth experience. Unfortunately, those who played it recently or want something new might be disappointed, though it’s hard to please everyone. Especially when PC and PlayStation 4 have been out for a while and are much cheaper.